Recessed lights, sometimes called sunken lighting come in a variety of styles, finishes and types, so it’s important you select the right ones for the job. Recessed lights are commonly bright, functional and decorative spotlights that always provide attractive ambient areas of light. Some need to be fire rated in certain situations in order to comply with current building regulations. 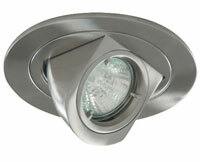 Available in mains or low voltage and in IP65, they are available in a multitude of finishes. Recessed styled lighting is becoming increasingly popular and for good reason, especially in kitchens, bathrooms or any minimalist environment. If chosen and installed in the correct numbers, they are capable of giving a gentle, even and shadow free light. 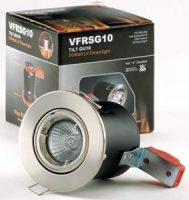 It is also possible to save a great deal of energy if you choose them in mains voltage fitted with high spot LED lamps. There is now an LED version of the popular and well established halogen counterpart for the recessed lighting sector which makes the initial outlay more expensive but these LED versions offer a total cost recovery within a two year period an absolute reality. 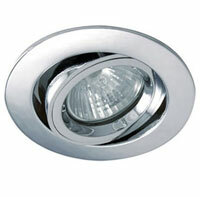 There are many different types of recessed fittings available, including fixed, gimbal, eyeball, wall washer, IP rated and fire rated recessed lights. Although similar in appearance, each type performs a slightly different function. In addition to the different types, they are available in a multitude of different finishes to complement your decor. In addition to the different types, styles and finished you can choose between low voltage, mains voltage and LED fitments. 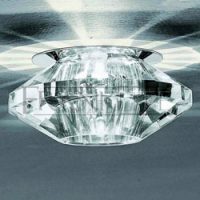 To assist you in making an informed choice, please see our information page, where you will find an article entitled Recessed Downlights Explained. If you require any further help or advice on selecting recessed lighting or downlights, please call 0151 650 2138 or send us a message using the contact us form for friendly, honest and down to earth information.